If you feel you have been a victim of medical malpractice, you may be entitled to financial compensation to cover medical costs, medical care, and loss of wages. Proving medical malpractice can be complicated. Denise Bradshaw has the skills and knowledge needed to assist medical malpractice victims obtain compensation for injuries resulting from the negligence of medical professionals. 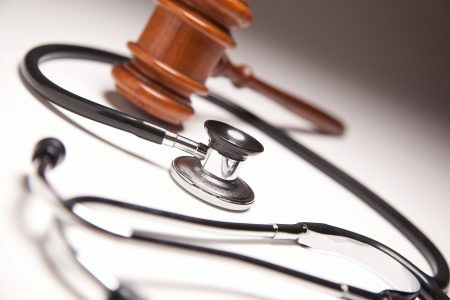 Medical malpractice or medical negligence happens when a doctor, hospital, or other health care provider fails to provide the appropriate medical care, and a patient is injured or dies as a result. When seeking medical treatment or care for yourself or family, you trust the doctor and hospital to provide you with the right care needed. Unfortunately, some doctors, hospitals, and care facilities fail in their responsibility through negligence or mistakes. Birth injuries– Such as Baby Bell’s Palsy where paralysis or weakness on one side of the face occurs in infants. The exact cause is unknown and doctors may be hesitant in treating this virus through medication due to the fact that the medication may hurt the baby. Medication errors- Medication errors occur when giving a patient the wrong dose or prescribing the wrong medication which can cause irrevocable harm to that patient. Common types of medication errors are filling a prescription with the wrong medication, errors made while administering the drug, or failure to monitor the patient’s reaction to the medication. These errors can be attributed to medical staff or pharmacists. Surgical errors- The most common surgical errors can be wrong-site surgeries, incorrect incisions and retained foreign objects, such as surgical instruments. This can lead to the damage of organs, extreme pain, severe infections or even death. Brain injuries- Traumatic brain injury or TBI happens when a bump, blow, or other head injury causes damage to the brain. Treatment and outcome depend on how severe the injury is. Hospital malpractice- Hospital errors can happen for a number of reasons such as misdiagnosing, treating patients for the wrong medical conditions and ignoring safety guidelines such as washing hands. Diagnostic errors- Misreading tests, failing to properly evaluate patients’ symptoms and successfully ruling out all possible healthy conditions are common causes of diagnostic errors. Diagnostic errors are the leading or second leading cause of malpractice claims in the U.S.
Denise focuses on helping victims of negligence and wrong doing by obtaining the maximum financial compensation for their injuries and damages. If you have suffered harm through errors or negligence of a hospital or medical professional, contact Denise at Bradshaw Law LLC today to learn about your rights, options and about whether you have a possible medical malpractice claim.